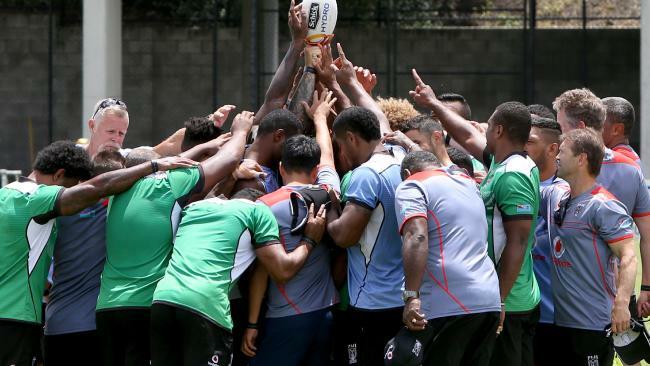 FIJI has tipped the Rugby League World Cup on its head, and now Australian coach Mal Meninga admits he can feel a change in the wind. HE was almost immovable as a player, but Kangaroos coach Mal Meninga admits even he’s felt the tectonic plates of rugby league shifting. The Rugby League World Cup has come alive after New Zealand’s spectacular elimination, becoming the first tier-one nation to lose to a second-tier not once but twice following defeats by first Tonga and then Fiji. And ahead of Australia’s semi-final against Fiji on Friday, Meninga believes times are changing. “There’s been a shift I reckon. Look at our numbers that play in the NRL, I think something like 38 per cent are Pacific Islander,” Meninga said in Brisbane. “So yeah, there is a shift in our game and that all goes well for the pacific nations and international rugby league. Meninga said he wasn’t surprised his men won’t be facing the Kiwis in the final- four clash following their shock defeat to the Bati last week.